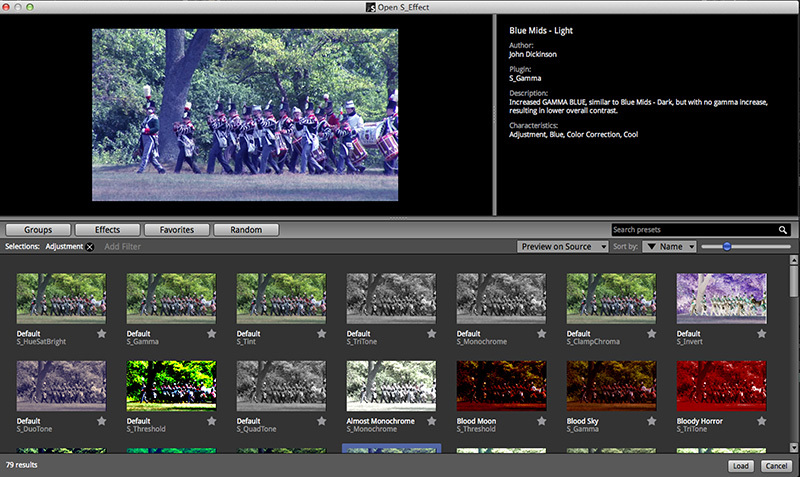 Genarts Sapphire has been one of the best plugins for Avid Media Composer users. Sapphire has set the bar high and provided various tools, and filters to polish and perfect your craft. GenArts has recently released Sapphire 8 with more customization, new filters, and a new builder to create and customize your own effect. Sapphire 8 introduces performance enchantments, new effects, and a new innovative enhanced preset browser,with the ability to create your own effects. This seems like a giant leap forward for the team at GenArts. Installing Sapphire 8 into either Avid Media Composer or Adobe After Effects is a simple as any other plugin. After downloading the installer simply double click the dmg file and follow the instructions and in moments you will be all set and ready to go. Sapphire 8 comes at a premium cost and it may seem intimidating at first. However, you will quickly understand this is simply not just any “vanilla” plugin. Sapphire 8 has so much to offer, and so much flexibility in terms of customization you can spend hours just tweaking effects for every shot in your timeline. Sapphire 8 introduces few new powerful effects and a new tool. These include Shake, Lightleak, Digital Damage, Grunge,Crosshatch and the all new Builder. That last one has really become a personal favourite but more on that a little later. 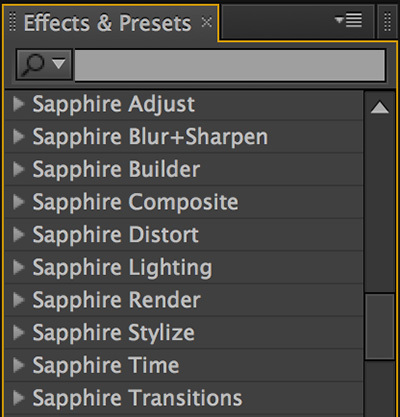 Sapphire 8 comes with a long list of effects, composites, transitions, and styles. Each of these effects and styles come with parameters that can be manipulated to your own personal needs. After an effect has been applied to your shot, you can access these parameters within Avid’s Effect Editor window. There you can find various parameters that you can use to polish or customize the look of your effect. 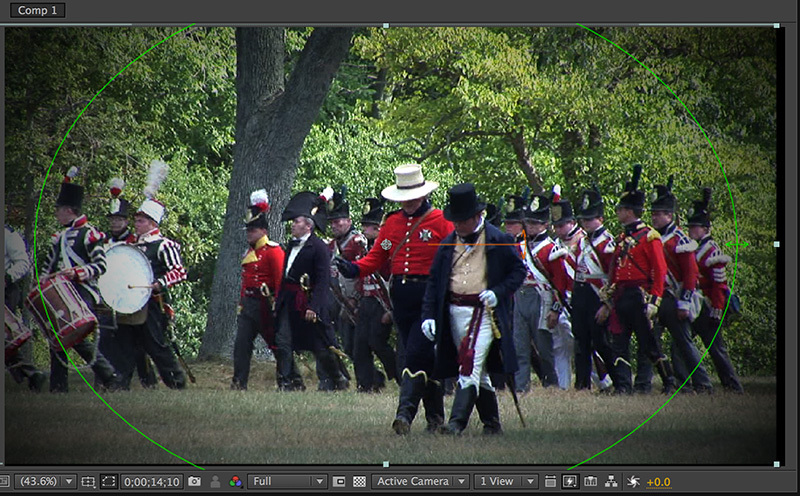 Depending on the effect you have used, parameters can be anything from vignette size to edge colour, to color correct. I found this incredibly useful when working to a cartoon effect on my shot. It does not seem that long ago,that if I wanted to create a similar look to the film, A Scanner Darkly, it took some serious effort along with complicated workflow inside photoshop. I remember creating a tutorial on how that works a long time ago. Now, I can achieve a similar look but customized to my own tastes inside Sapphire 8 within a few clicks. 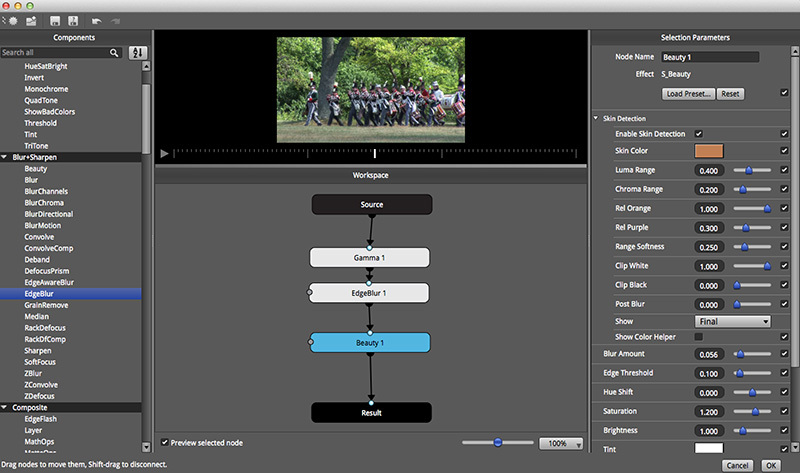 Sapphire 8 works very similar to the workflows inside Avid Media Composer. This makes it very easy to go back and forth between the two applications if necessary. Inside After Effects you will find all the transitions, effects, compositions, and styles readily available. Crafting your desired look can be accomplished in just a few steps. Begin by creating a new composition. 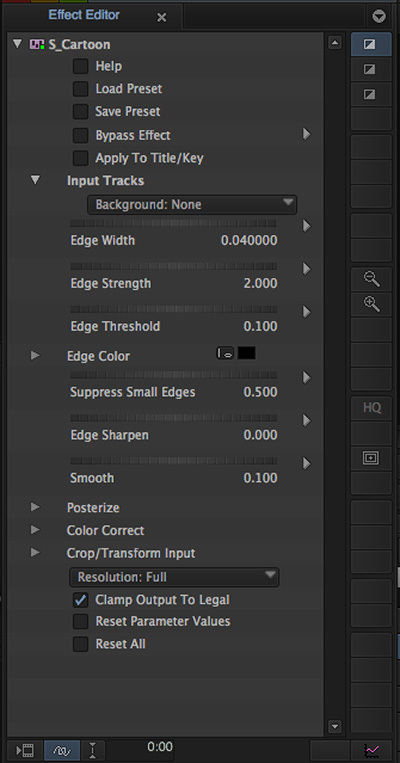 Then to create your desired look simply drag and drop your pre-selected effect on to your composition. 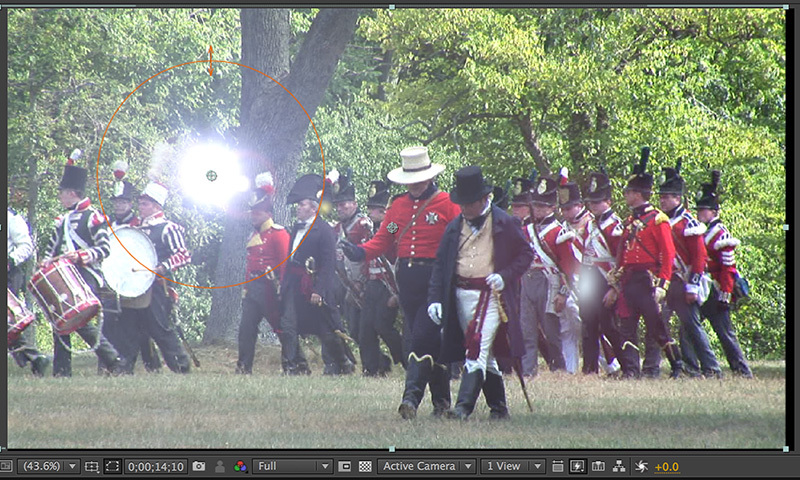 Almost any effect you could possible need can be found in Sapphire 8, from the standard Vignettes to J.J. Abrams style Lens Flares. 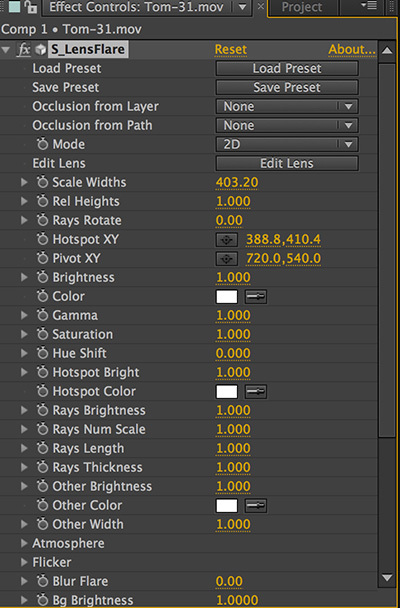 The brilliant part of working with Sapphire 8 within After Effects is many of these abilities can be used with text. This will allow to create wonderful Titles and logo..
Really the only thing holding you back here is your own creativity. Earlier in the article I mentioned a new tool known as Builder. It is a powerful and extremely flexible tool. Working within Sapphire Builder is very powerful using their new tools such as the all new Builder. The Builder allows you to create your own effects and transitions by combining the current existing Sapphire 8 effects.. You can choose to load a preset and preview them with the preset browser, which visually displays all your transitions and effects. 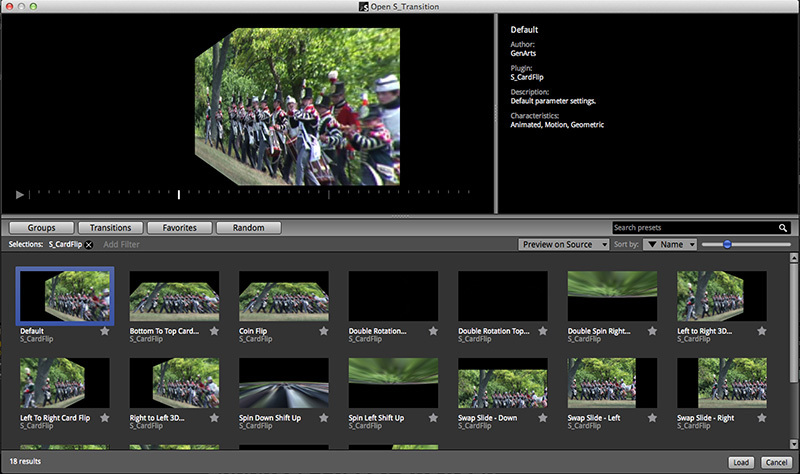 In the preset browser you can preview just about any effect or transition’s looks on you current clip selected. Sapphire 8’s most power ability is the the builder itself. Simply, select the edit button inside Sapphire Effect or Sapphire Transition filter, and the builder will automatically launch. Once inside the Builder, you can begin to add nodes from Sapphire’s extensive library of effects or transitions, (depending on which you are working on) to create your personalized look. After you have created your own personalized effect Sapphire 8 allows to you save the effect to be used again later. This makes it incredibly easy to apply the same effect you just created over multiple shots without having to re-build the effect from scratch. Don’t forget to click the preview button in the bottom left, so you can see how each node effects the next and compare it to your results. The pricing structure for Sapphire 8 has been divided into groups to better server their customer base. GenArts has designed the pricing to make upgrading and budgeting for Sapphire much more convenient. Automatic upgrades – Never miss a Sapphire release! Active Upgrade and Support customers are automatically entitled to all upgrades released during their yearly contract. Cross-host licensing – Now you don’t have to purchase additional licenses for each host platform you work with. The Upgrade and Support Plan provides you with cross-host licenses that can be used across multiple host applications. Discounts on floating licenses – Floating licenses are pooled licenses that can be shared across a group of users. Floating licenses are now available for a flat discounted fee of $500. Unlimited burn and render licenses – Formerly, $99-$499 per license, render licenses are free under the Upgrade and Support Plan. “For example a new cross-host license from Group 1 would cost $1,699 and be compatible on Adobe, Smoke on Mac, Autodesk Flare, Nuke, Resolve, and Other OFX. A cross-host license from Group 2 would cost $2,800 and be compatible on Avid, as well as all the hosts in Group 1. A cross-host license from Group 3 would cost around $8,499 and be compatible on Autodesk (Linux) and all hosts from Groups 1 and 2. Genarts Sapphire 8 is an incredibly powerful tool, that has provided an almost unlimited amount of flexibility. It’s performance and large library of effects, make it worth every penny. The added ability to customize and create your own effects, and transitions make it one of the best plugins for Avid Media Composer and Adobe After Effects. Any film or broadcast editor would simply love having this tool within their edit suite. I can’t wait to have our edit suites updated to version 8.